Gleristone Santos is one of Brazil’s rising stars. Although he has already competed 27 times, with an impressive 24-3 overall record, Santos is still unknown by the vast majority of MMA fans. Santos began his MMA career at just 17 years old. After winning his first 6 fights, including a victory over Brazilian veteran Joao Paulo Souza, Santos’ next challenge came in the form of a 4-man, 1-night Grand Prix, where he once again defeated Souza in the Finals to win the tournament. 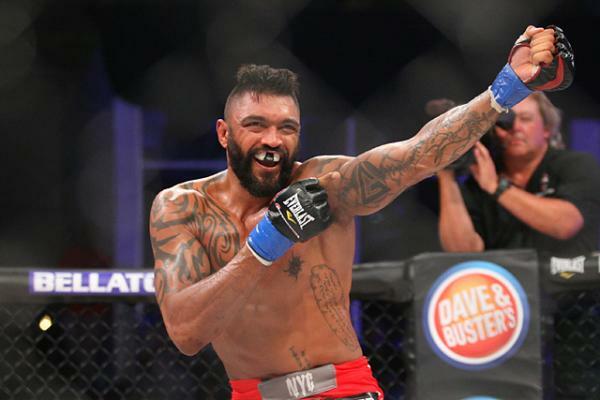 Santos’ 9-fight undefeated streak would soon come to an end as he was knocked out by future Bellator title contender Patricio “Pitbull” Freire. Santos got back on the winning track just 4 weeks after his KO loss to Freire. He proceeded to once again enter himself in a 4-man, 1-night tournament. After winning his preliminary fight via decision, Santos tired badly in the Finals where he faced off against Joao Paulo Souza for the 3rd time in their careers. This time Souza got his revenge, submitting Santos with 6 seconds left in their fight. Following the loss, Santos ran off 7 straight wins from 2009-2011, including victories over respected Brazilians Diego Braga and Igor Fernandes. Santos’ 2010 win over Fernandes was considered to be Fight of the Year in Brazil by many in the Brazilian MMA media. 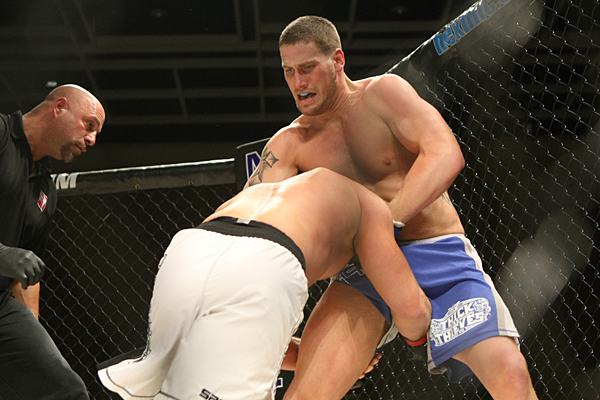 Santos was supposedly on the verge of signing with the UFC heading into his 2011 fight with WEC veteran Carlo Prater. Unfortunately for Santos, he struggled to combat Prater’s strength and grappling advantage, and was finally forced to tap out in Round 2. Prater would go on to sign with the UFC 3 months later, while Santos was sent back to the regional circuit. The loss to Prater caused some soul searching as Santos finally realized that in order for him to compete with top-level competition he would have to cut the necessary weight in order to counteract the size and strength of his opposition. Since Santos cut down to Featherweight, he has gone 6-0 with 5 finishes. Santos trains out of Brazilian Top Team (BTT) and is considered one of their prized pupils. Head coach Murilo Bustamante and many of Brazil’s top stars such as Anderson Silva, Junior dos Santos, and Antonio Rogerio Nogueira have all made positive comments regarding Santos’ fighting style and potential. BTT has lost its fair share of talent over the years, including Rousimar Palhares just a few months ago. BTT is still one of the better camps in Brazil and has contacts with the UFC and Bellator, but Bustamante has recently made some critical comments about the UFC following the release of Pedro Nobre. Gleristone Santos looks like a phenom on film, but his loss to Prater, seemed to put a pause on some of his hype. Yet, while analyzing Santos’ overall record, it soon became shocking how Santos has not been signed by the UFC or Bellator at this point in time. His lone 3 losses are all to respectable competition, and one of those losses was in the Finals of a 4-man, 1-night tournament. 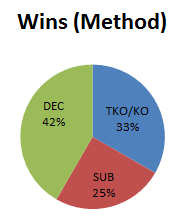 Why those losses have held him back from fighting on the big stage is extremely questionable. Santos not only brings it with his fighting style, but he seems to be quite the entertainer as well, with his backflips off the cage, and carefully designed hair art. 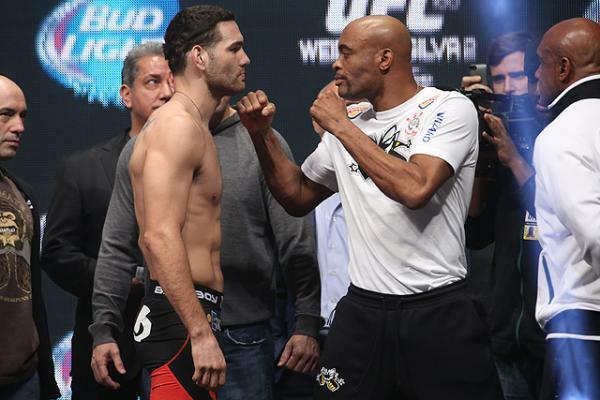 He comes from a good camp and has already been praised by the best fighter in the sport, Anderson Silva. One would have thought that Santos would have received an opportunity to compete on TUF Brazil 1, but it could be possible that BTT did not want multiple teammates competing on the show, considering that Santos’ teammate Pedro Nobre had made it past the casting call. Santos is an explosive striker with good kicks and power in his right hand. Santos reminds me a bit of current UFC Bantamweight Yuri Alcantara, although Alcantara is 8 years older. They both are finishers, equally dangerous as strikers or submission artists. They struggle at times against bigger grapplers that can hold them down, but overall, they are exciting, dangerous fighters. Based off that comparison, and the fact that Santos has 27 fights under his belt while still being just 24 years old, he could prove to be a future top contender in the UFC.